Owned and operated by Unibet, which is a major UK operator. Unique and innovative technology. May not be suitable for players from all regions. Maria.com presents players with a multilingual, colourful and artfully styled website which deviates from the glittering Las Vegas decor favoured by a number of its competitors. Owned by Unibet (International) LTD and founded in 2007, it is operated and licensed by the LGA (Lotteries and Gaming Authority) in Malta known for its dedication to ensuring that the casinos under its jurisdiction adhere to strict gaming standards and regulations. The virtual casino provides games created by the software games giant NetEnt which can be played with cash or free of charge, ensuring that clients can familiarise themselves with new games before taking the plunge and staking a cash bet. Maria.com boasts an impressive collection of high quality games which enables it to stand out amongst its competitors. The entirety of its catalogue features games provided by Netent and includes scratch cards, casino card staples, slot machine games which can be played in a web browser or downloaded. Its collection is continuously being updated ensuring that clients always have something new to look forward to. They also have the opportunity to participate in tournaments and promotions which are held regularly by the casino. Maria.com offers new clients a 200% Deposit Bonus of up to £100 as well 5 free starburst spins. New clients who deposit and bet £300 or more during their first week also gain 50 free spins on Gonzo’s Quest by 5pm the following Tuesday. The casino also provides regular promotions such as Super Casino Sunday Bingo which gives clients the opportunity to win £5 000 and juicy jackpots such as Mega Fortune Dreams. Clients can also participate in a £1 000 bingo game which is always available between 7 pm -12 am as well as four £200 games during the same period. Tournaments consisting of a series of games are also held weekly enabling clients to pit their gaming skills against those of other players or the casino itself with the opportunity to win the sum of their dreams. 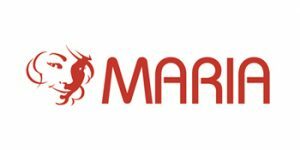 The Government of Malta which is considered to be one of the key licensors in the online gaming industry regulates the activities of Maria.com and the casino is required to adhere to its strict regulations in order to ensure that its licence is renewed at the end of each five year term. Maria.com is also a member of the European Gaming and Betting Operators (EGBA) which also provides additional protection for its clients. Security is often the primary concern of players interested in registering on an online casino due to the fact that personal and financial details may be involved during the registration process. Maria.com is an establishment which puts the safety of online visitors first as attested to by its Ecogra status. It is also a member of The Remote Gambling Association which is the world’s largest online gambling trade association and promotes safe and healthy attitudes to online gambling. Maria.com accepts clients from the United Kingdom, Finland, France, Germany, Greece, Hungary, Italy, Norway, Poland, Spain and Sweden. Players from Afghanistan, Australia, Bulgaria, Denmark, Estonia, Ethiopia, Hong Kong, Iran, Iraq, Jordan, Kuwait, Pakistan, the Philippines, Russia, Syria, Turkey, the United States and Yemen are not accepted. Maria.com’s members’ area is neatly divided into account, wallet management and customer support sections. The account section provides the client with an overview of all they need to know concerning their account, their balances, and available bonuses. It also contains account editing features. The wallet management section provides transaction processing features for withdrawals and deposits as well as information on bonuses and offers. The customer support section provides access to the FAQ section of the site and to the customer service team via an instant chat link ensuring that any queries or issues the client may have while playing can be resolved promptly. Maria.com accepts payments from a wide range of payments options for processing transactions. These include credit and debit cards such as: Visa, MasterCard and Maestro. Additional payment methods also include the highly popular e-wallets, Neteller and Skrill. Maria.com operates a five tier loyalty scheme through which it issues loyalty points based on Bingo products purchased. The five levels correspond to one, two, three, four and five stars respectively with a higher number of points being issued for higher levels. Players are automatically assigned to the first level and must acquire a set number of points in order to be able to ascend to a higher level; they must also obtain that same number of points within the same month in order to remain at that same level. The number of points required for each level are, 440, 1 100, 9 600 and 52 000. Once 750 points have been accumulated, they can be exchanged for a £1 Bingo Bonus. Maria.com permits clients to set their own deposit and withdrawal limits. However it does not permit the withdrawal of funds exceeding £2 000 for clients who are yet to verify their age, address and identity. The 200% deposit bonus lasts for 3 months following which it expires and may only be used on casino, slot and bingo games. Casino and slot games provide a 100% contribution towards the wagering requirement while the majority of casino classics such as Roulette, French Roulette, Blackjack, etc. provide a contribution of 10%. Bingo games provide 200% towards the wagering requirement while bingo side games provide 100%. Maria.com’s customer team is available between the hours of 11.00and 21.00 for 7 days a week. Clients can also email the casino which endeavours to respond to queries forwarded in this manner within 48 hours. Alternatively, clients may also select the live chat option in order to contact a member of the team concerning any queries or questions they may have. Maria.com has catered to fans of quality casino games since 2007 providing them with the latest games which are continually being updated to ensure that clients continue to enjoy a varied and exciting experience. It has earned praise for its tasteful and unique design, its variety of games as well as its friendly and efficient customer service. Maria.com is a multilingual casino founded in 2007 owned by Unibet (International) LTD. Regulated by the Malta Gaming Commission which is a key player on the games regulating scene, it welcomes clients from the United Kingdom, France, Spain, Germany, Norway and Sweden. It provides a 200%deposit bonus with different categories of games providing varying percentages of contributions to the wagering requirement. Fans of Bingo are likely to find its five tiered loyalty scheme highly favourable.